Online, the Oxford Dictionaries describes truth as : "...that which is true or in accordance with fact or reality"
I've often hear some people use the word "Truth" in respect to the state of their lives; specifically, if they go through some personal struggle, be it addiction, sexual abuse, life-style choices etc, that they've come to accept and regard as "their personal truth". Some think that somehow their personal experience determine the truth of things and processes. ...Fact is lesser than truth. What, did I shock you? At least you're not offended, hang on! Facts are what you are able to observe with all physical faculties available to you, and this is why it is usually not truth. I said usually, because sometimes you get it right... Hold on, don't take offense now, I'm not done yet. Take this example; mid-afternoon, the sky is clear, I ask its colour and you declare, "it's blue!" But is that true? Well not for a dog. A dog doesn't experience colour the same way the human does. It only sees in black, white and shades of grey. (I won't bother to go into a greater truth that colour itself is only a function of types of lights, the way they hit an object and their relationship to your eyes and brain. Neither will I go into the concept of "sky"...) That the sky is blue, while being a fact, is only a human perception. Truth comes from the Spirit of God. Why do I say this? Some years ago I sat in church and for the very first time, heard the story of the spies and the promised land. (I said for the first time because while my mother is a very spiritual woman, growing up, we only read the Psalms. Man, I could recite you some Psalms...) Reading the story I thought "man, how just is it to go occupy an already occupied land--" (not the best idea to read with outside stories, colouring the material...) until I bumped up into Numbers 13:32-33 "And they brought up an evil report of the land which they had searched unto the children of Israel, saying, The land, through which we have gone to search it, is a land that eateth up the inhabitants thereof; and all the people that we saw in it are men of a great stature. And there we saw the giants, the sons of Anak, which come of the giants: and we were in our own sight as grasshoppers, and so we were in their sight." Why would the Bible called what the 10 spies reported as evil when in fact they actually saw gigantic men of great power? Those spies were meant to see beyond the physical, with the eyes of the spirit, good possibilities. Excellent outcomes. Instead they saw these men as beyond them, and themselves thoroughly defeated. The 10 spies saw and agreed with facts. As a consequence, they were left to wander a small desert for forty years until they all expired. You know the saying "It's too good to be true"? Every time I hear it my skin pricks up (well not literally, but you get the idea). I know people are attempting to protect themselves from being deceived, but they're going about it the wrong way. Practical example: a couple weeks ago I had a conversation with a woman who works with her husband, he's a massage therapist, and as a compliment to his work, she does facials. Being married 38 years(much longer than I've actually existed hah aha), she only speaks of her husband as if he were the greatest thing ever. I told her, "your husband is so blessed to have such a supporting wife. That's what I've noticed lasting marriages consist of, a loving and supporting wife, and a providing and protecting husband." She pipes in "He's a very good provider, very good!" I don't doubt it either, her clothes are always so cute, you wouldn't guess she's 58. "But that's a part of your character, that's what lasts..."
The woman had been wearing a beautiful yellow dress that other ladies complimented her on, and she responded "Thanks, my husband loves it too!" Somehow, this bothered the younger woman so she called her aside and asked "Are you OK, are you being abused?" Puzzled, older woman said no. The younger persist, "Are you afraid your husband will leave you?" To that the older woman asked "why do you ask me these questions? Where is this coming from?" "Because I see a void in you... a vacuum..."!!! Now, I hadn't mentioned that the younger woman defines herself as a life-coach, yet somehow, she saw a healthy marriage as being too good to be true; there must be something wrong with it. Of course she might have concluded that the older woman was a victim on account of her being Asian. In North American skewed mindset, people tend to view Asian women as being docile, cowered by dominant men. But if that were true, the wife, living in Canada for 30+ years, had opportunities to not see and express love for her husband. But she remains loyal and loving. Why would the younger woman see a void where there was none? She, herself, had been a victim of sexual abuse by her own father, coupled with a neglectful mother, and as such, not only does she wear a badge of victim-hood, but she sees other women through that prism. (In fact, the only reason she gives for her career is to protect other children by teaching them her personal truth). What the older woman told to me saddened me. That a person who defines herself as helpful, is unable to tell good from evil (whether with her own character that she defines as her helpfulness(though misguided), or with seeing true joy in other people). Goodness comes from God and if it's good then it's True! This reminds me of Jesus' response to a man who asked, "Good Master, what shall I do that I may inherit eternal life?" John said in John 16:13: "Howbeit when he, the Spirit of truth, is come, he will guide you into all truth..."
All truth? 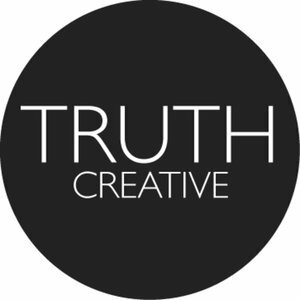 Does that mean that there are multiple truths or does it mean that truth is multi leveled? Have you ever had a revelation that struck you so hard you remember the exact time and place it happened? I had been listening to a message taught by Pastor Chris earlier (I can't say if it was that day or not because sometimes I let a message remain in my car's CD player for a week or two ), where he emphasized that the reason God cannot lie is because whatsoever He says gets established. If today was Tuesday and He declares it's Saturday, it becomes Saturday. He's God. This is why we read in Hebrews 6:17-18 that He's bound Himself to His oath and as such, it is impossible for Him to lie.James chapter 1 verse 18 says "Of his own will begat he us with the word of truth..."
God's Word is known (and the "known" I'm using is one of intimacy and communion) as Truth such that whosoever agrees with it overcome circumstances and situations that had them under oppression. If a man has been oppressed by cancer or some other disease, if he confesses God's truth( by His stripes, I was healed - Isaiah 53:5) over the state of his body, believing with his heart, his body has to obey and be made whole. God's Word changes the state of (things in) existence and as such, God's Word is Truth. How was it possible for a man to walk on water? 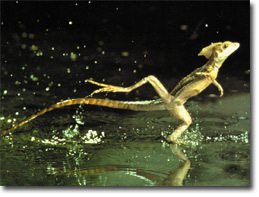 (We know about the basilisk lizard, with large hind feet, speeds atop water surfaces, but Jesus, at regular gait, walked on rough seas.) How is that explained? Jesus used words of Truth. He spoke to inanimate material as though he would a person, backing the words with faith, and they obeyed. I wouldn't doubt that he had told the sea to accommodate his stroll. Moses held a rod over the red sea and commanded it to part. He spoke words that the Spirit of God gave him. The red sea had no choice but to obey. Jesus himself told us that all the miracles he worked were according to the Words (will) of God. I can of mine own self do nothing: as I hear, I judge: and my judgment is just; because I seek not mine own will, but the will of the Father which hath sent me. (John 5:30). It is actually the Holy Spirit, also known as the Spirit of Truth (John 15:26), who changes the state of things. Fortunately for us, children of the Most High God(1 John 3:1-2), we have full access to the Holy Spirit who dwells in us and with us. If you've not yet receive the Holy Spirit of God, ask Him in then be filled daily (using the steps laid out in Ephesians 5:18-20). ...You shall receive power (ability, efficiency, and might) when the Holy Spirit has come upon you... (Acts 1:8 Amplified). Power is the ability to cause changes, (changes that work dynamically). As such, through the Spirit of truth, the addicted have power to conquer addiction, the sickly have power to live in divine health, the simple have the power to walk in wisdom.